Smokebushes do well in landscapes but are susceptible to Verticillium wilt disease, so prevent root stresses and injury to the extent possible. 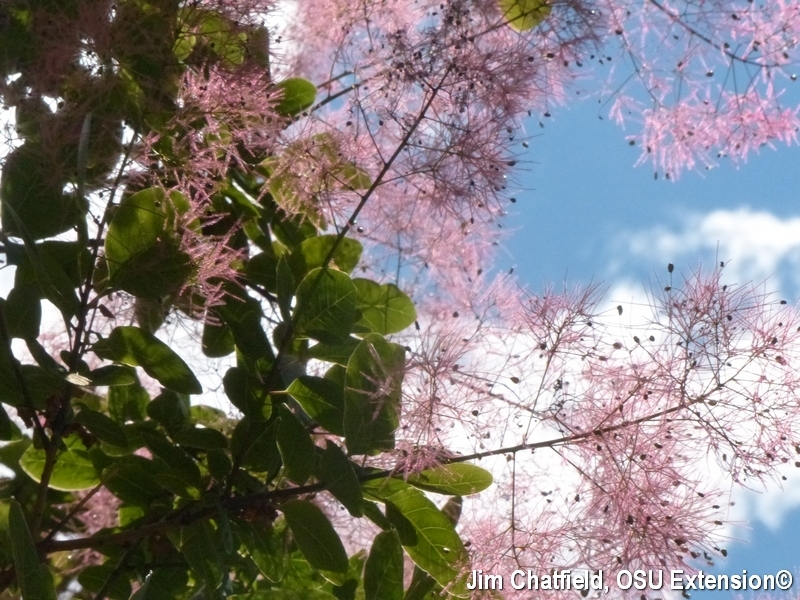 For added accents, try a purple-leaved smokebush, such as Cotinus coggygria ‘Royal Purple’. This time of year especially, enjoy.